Canada's golden age was between 1840 to about the 1900s, before the start of World War 1. Now, you may say, Caleb, Canada wasn't a country in 1840. But I disagree. When Upper and Lower Canada were united and given responsible government, I contend that this is the actual beginning of Canada. For, the move from colony to nation-state didn't occur all in 1867. Hell, the country didn't get its constitution from England until 1982. On February 10th 1841, Canada was unified. From the shores of Lake Superior to the ports of Montreal and Quebec City. And then, we know the rest of the story. Other British North American settlements merged with the Canadians and, eventually, we all became Canadian. So what happened in this golden age? Unimagined prosperity, mostly caused by the Americans and English, but with the effects of industrialization first coming to Canada's few wealthiest, then to everyone. The US War between the States notwithstanding, this golden age was marked by a rise in living standards. Goods and services fell in prices, wages increased in purchasing power. Of course, governments interfered with gold and the monetary system, but banks were still independent enough that consumers could withdraw their funds and put a run on the banks. This, while unstable, is one of our greatest remedies against fractional reserve banking. So what happened? How did we go from a functioning capitalist economy with strong civil institutions and a government that more or less stayed out of the daily affairs of individuals and commerce to this bankster-run stock-market casino of debt, war, and welfare? It helps to read Nietzsche. Or at least read about Nietzsche, but I do highly recommend Beyond Good and Evil. In the late 19th century, especially as technology and capitalism made life more luxurious for a larger amount of people, the death of God was easy to come by. As science progressed our understanding of the world, the primitive stories of the Bible were looking more like myths than anything literally true. These myths or narratives can provide value and give life meaning. But after nearly 1900 years of Christianity, the time had come for new ideas. Without God, humanity was free to direct their own affairs. To combat against nihilism, Nietzsche believed individuals would have to create their own Übermensch, or superman. Or that, in fact, they already were. I think... Nietzsche isn't so simple to read. But it's clear democracy and socialism is an embodiment of this idea. That, without God as the head of state, we can, as free men and women, choose the most capable leader among us by voting in a free and fair democratic election. Through Canada's democratic institutions, we become masters of our own fate. But since Parliament can’t keep up with the proliferation of legislation they’ve created, subordinate bodies have been established to carry out the details of every statute. Unlike MPs, we don’t elect these people. And unlike the private sector, we can’t stop paying their salaries by patronizing competitors. Performing good or bad work isn’t a criterion imposed by the end user. A hierarchy of commands rule the day, and sufficient political capital or budgetary crises are usually needed before anyone even risks losing their jobs. Because technology and capital have increased and become more complex, because private enterprise must respect “public health and safety,” it follows that the legislative response must be complex and nested in technical language, covering a wide range of activities. That’s why government grows beyond "classical" liberalism. But does this argument follow? Must government grow larger and become more of a tax burden because people want to buy, sell, invest, and consume? Proponents of the state will say, "because there is no area of human life and affairs not covered by law, we need laws in order to maintain our free and civil society. So when a problem arises, politicians and/or the public demand legislation in order to solve it." Ergo, the more problems governments can contrive, whether real or imagined, the better off they are. It doesn’t need to be nefarious, it’s just human nature. That’s why the real liberals are government skeptics, not its cheerleaders. The current state of Canada demands that we ask ourselves whether legislation and the resulting branch of administrative law are really the best means for resolving our complex social problems. Since World War II, and definitely after the 1960s, a proliferation of legislation at federal and provincial levels have delegated authority to inferior tribunals that set policy, enforce and render decisions. Budgets sufficient for permanent staff are provided, as well as for their pensions, in addition to funds for hiring outside consultants and experts. At a minimum, each public sector employee is making at least $15,000 a year. Many are making a lot more. Public sector employees only "work" 6 hours a day but get paid for 8. Ottawa is the only city in Canada where rush hour is at 3pm. In the private sector, an employee is more likely to work 8 and a half hours a day and only get paid for 7 and a half or 8 hours. Public sector employees pay consultants and contractors hundreds of thousands of dollars to do "work" while they get paid to check the "work." The reason I keep putting "work" in quotations is that government work is different from work in private sector. Government is a bastardization of the real thing. When entrepreneurs in the private sector buy and sell, when they use prices and factor in capital goods for accounting and balancing the books —they perceive scarcity and provide consumers with the most efficient uses of resources. This is not what government bureaus are doing when they mimic the real thing. Businesses must find a way to persuade individuals to give them money. Governments simply tax. Bureaucrats pricing goods, purchasing capital equipment, factoring components into the structure of production — it means nothing. It's a confirmation bias. Entire countries have attempted to run their economies on the belief that capitalism is merely arithmetic the government can replicate. This mistake cost hundreds of millions of lives over the 20th century. Unfortunately for us, the lessons have not yet been learned. It’s little wonder that taxes and government borrowing have trended upward with no end in sight. Nietzsche was wrong. We can't create our own values. 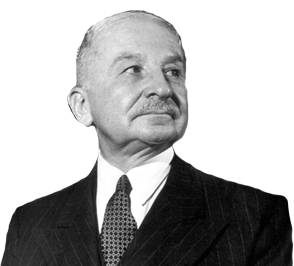 In fact, perhaps Mises was even wrong in a philosophical sense. We might not even have free will. Nevertheless, we should probably find some transcendental values beyond participation in Canada's democracy. Democracy is a tool, not a religion or way of life. We've now outsourced that problem to politicians. Our taxes are high, but our social programs are inefficient despite whatever level of funding they receive. Our streets are full of homeless and drug-addicted. The State mediates to an increasing extent in regulating private conduct and the ramifications are detrimental to liberty and prosperity. Despite cries of “deregulation” by some of the same people who believe defending Western culture and traditions is “racist” and an example of “white privilege,” the fact that we remain a society heavily taxed and regulated by various levels of government run counter to ideas of freedom Canadians lived with 150 years ago. The 19th century was an age of political deliberation when politicians and the public had confidence in the power of words. 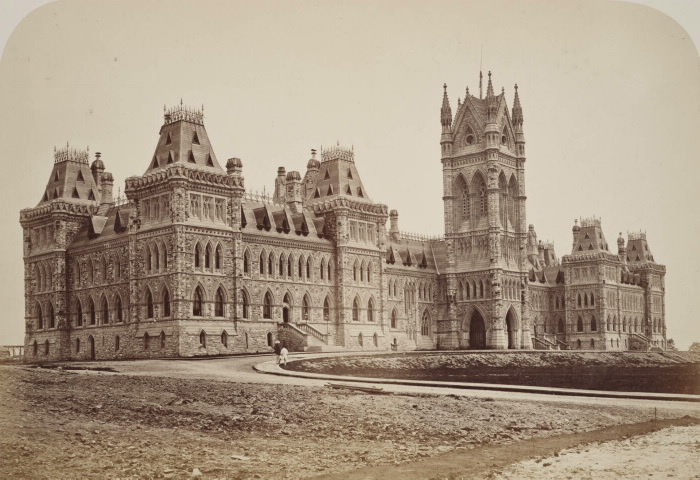 Today, the strong monarchical element in our system has been displaced by a populist PMO. And in the post-modernist tradition, words and definitions no longer describe real things, they have become arbitrary proposals for the use of a term. To save Canada's democracy, we have to rely less on it. This is a well-written article. I don't know how younger people are going to make it in this world. My taxes are already too damn high! !